There is now just one round of games left in the Euroleague Top 16 and there are still playoff spots to be sorted out. The three games on Friday night offered plenty of excitement and action and there was plenty to keep fans entertained at the start of the Easter weekend. It was a game with nothing at stake but there was a lot to enjoy about this game in Lithuania, with Zalgiris playing their final home game of the Euroleague campaign. The home side moved on to a 5-8 record in the Euroleague while the team from Belgrade fell to a 3-10 record at this stage. Paulius Jankunas offered up 19 points, Will Cherry offered 17 points while Arturas Millaknic provided 11 points and James Anderson offered up 10 points. Boban Marjanovic grabbed another double-double, his 15th of the campaign, with 14 points and 12 rebounds. He is now a Euroleague record holder in this regard, moving one ahead of Tanoka Beard who achieved 14 double-doubles in 2004/05. This win sees the Russian side move on to an 11-2 record in Group F and they have guaranteed home-court advantage in the playoffs. Olympiacos are now holding a 9-4 record and they are currently sitting in third place. It looks as though the team from Moscow will take top spot in the group. They will achieve this if they defeat EA7 Emporio Armani Milan next week of if Anadolu Efes overcomes Fenerbahce. Basically, Fenerbahce are hunting CSKA down and they need to win while CSKA needs to lose next week for the Turkish side to take top spot in the group. 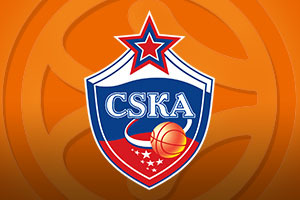 Sasha Kaun and Sonny Weems both managed to grab 16 points for the winners while Milos Teodosic provided 14 points and Andrei Kirlenko provided 10 points for CSKA Moscow. Georgios Printezis and Matt Lojeski offered 16 points for the Greek side and Kostas Sloukas offered up 12 points. The Italian side fell out of contention for the playoffs but the home team are still very much in control of their destiny. If Efes win next week, they will be in the playoffs. This result saw the home team move to a 6-7 record in Group F while Milan fell to a 4-9 record. For a spell it looked as though the Italian team were going to cause an upset and they led by 10 points in the third quarter of the game. However, Thomas Huertel took this as his cue to get going and he was in cracking form as the game moved towards the final quarter. He grabbed 16 points in the third quarter alone, and 26 points in total, which was the game high mark. In a 12-0 scoring run that took place over the third and the fourth quarter, the home team took a big lead of 68-69 and they remained in complete control from this point on. Nenad Krstic provided 22 points for the winners while Dario Saric provided 14 points for the Turkish side. MarShon Brooks and Alessandro Gentile both offered up 17 points while Samardo Samuel provided 16 points and Daniel Hackett scored 13 points while offering 8 assists for the Italian team.